This gift card can only be used over the phone. 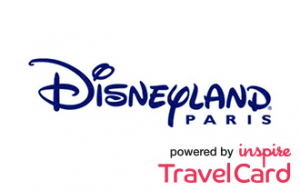 Disneyland Paris powered by the Inspire Travelcard allows us to create packages for Disneyland Paris. Online Simply input the 19-digit card number and 4-digit PIN at checkout and the value on the card will be subtracted from the booking total. Call Centre Call: 0161 440 6620. If you are booking via our call centre please tell the Travel Agent the Card Number and PIN and the value will be subtracted from the booking total. This card expires in 18 months. For more information about your travel card please read the terms & conditions.